Okay, so the first pair was coming along swimmingly, I was just starting the heel, when I finally had to admit that the needle I was using was too big and the fabric was too loose. So, ripped out everything and started again (after swatching) with 2.25 needles. It feels much better, so that was a good choice. 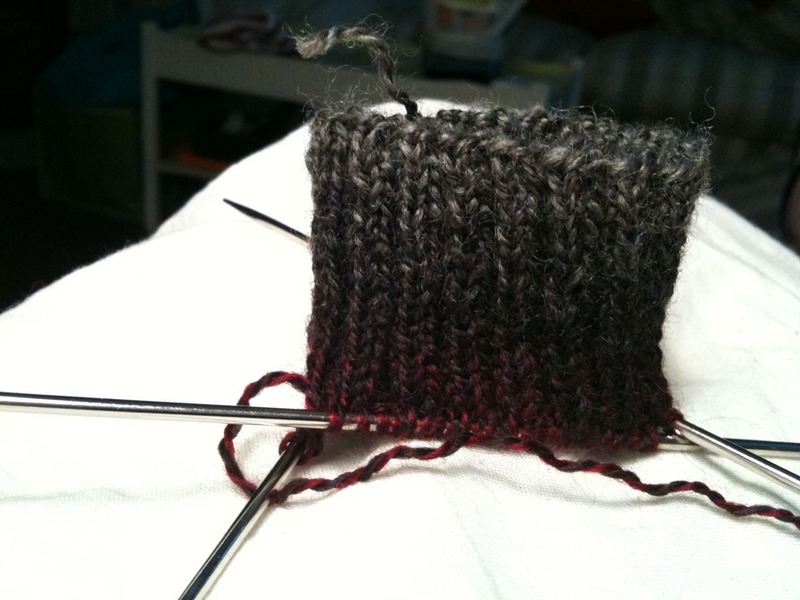 Now, another choice is needed: do I do the whole thing in 2×2 rib, or do I switch to stockinette? I’m leaning toward the rib, as it’ll be good practice for my purl stitch.